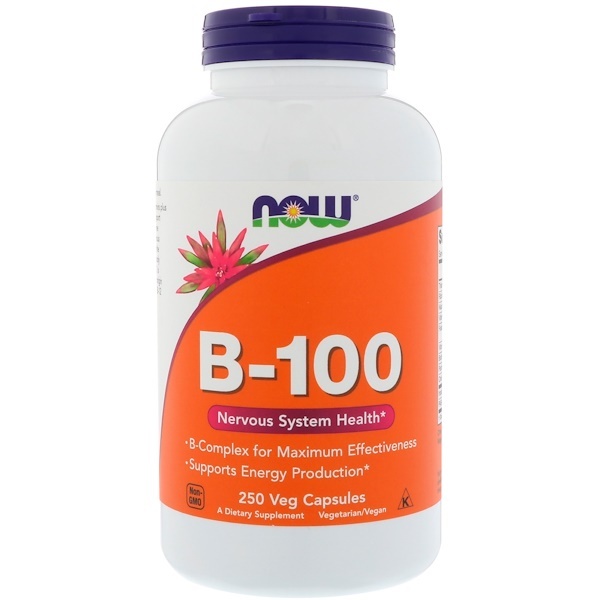 B-100 Caps provide a full complement of B-Vitamins plus Choline and Inositol. 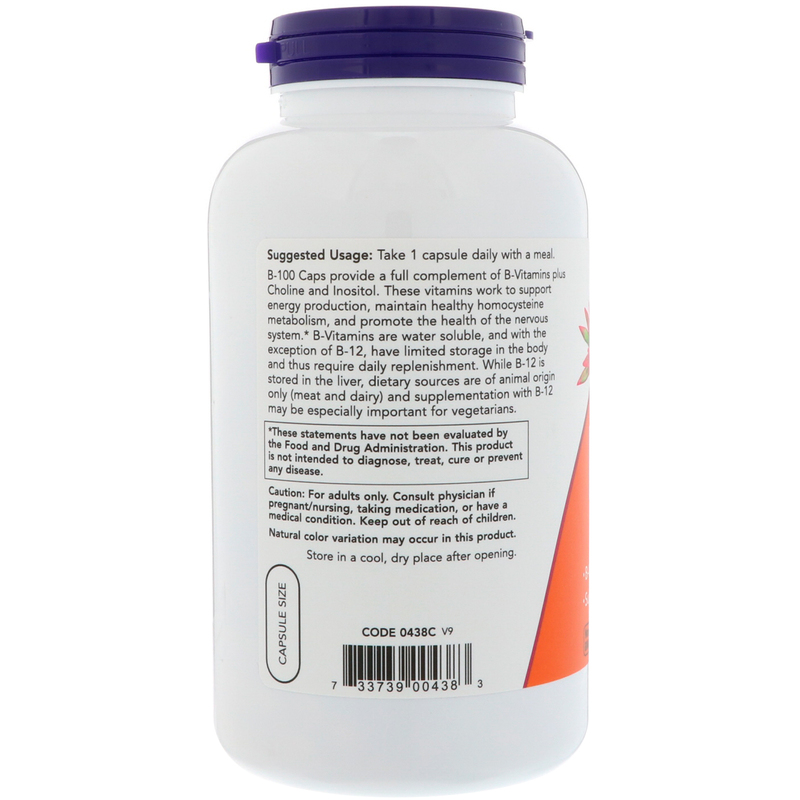 These vitamins work to support energy production, maintain healthy homocysteine metabolism, and promote the health of the nervous system. 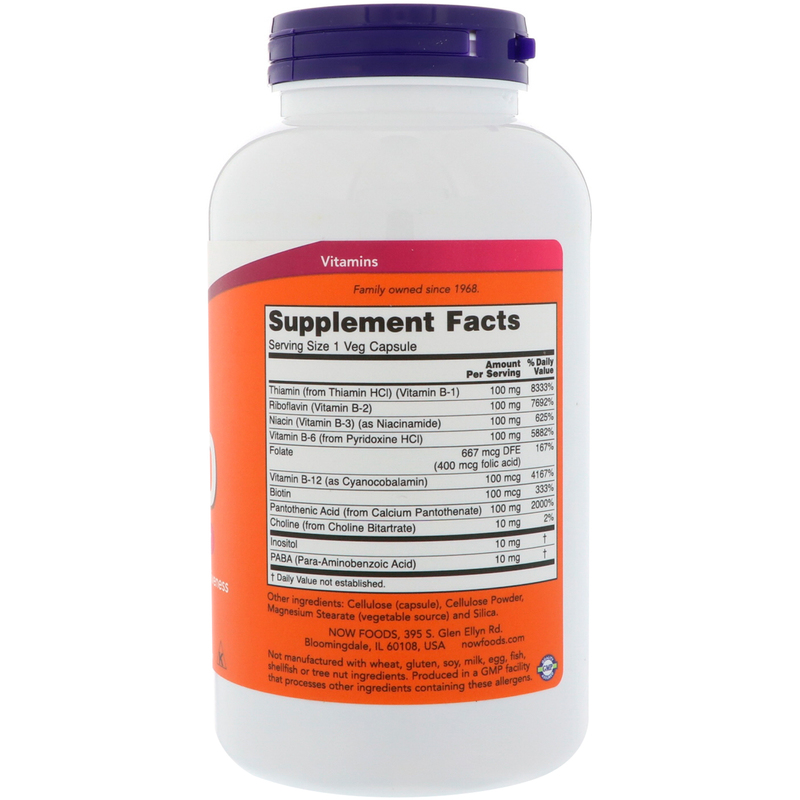 B-Vitamins are water soluble, and with the exception of B-12, have limited storage in the body and thus require daily replenishment. While B-12 is stored in the liver, dietary sources are of animal origin only (meat and dairy) and supplementation with B-12 may be especially important for vegetarians.